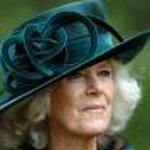 Camilla, Duchess of Cornwall has been busy attending charity events lately, and this week has been no different. The wife of Prince Charles was in Bath in the UK to open a new extension to the National Osteoporosis Society (NOS) headquarters on Thursday. Braving the heavy snow that has fallen over much of England, the Duchess also presented the inaugural Duchess of Cornwall award, an accolade that recognizes individuals for their outstanding contribution to the field of osteoporosis and can be bestowed upon professionals or volunteers. Osteoporosis is a fragile bone disease that affects half of women, and one in five men in the UK aged over fifty. The Duchess has been president of the NOS – the only national charity dedicated to improving the prevention, diagnosis, and treatment of the condition – since 2001.